Nardwuar The Human Serviette News: Dec 3: The Evaporators play The Mint Records Ridiculously Early Xmas Party! Dec 3: The Evaporators play The Mint Records Ridiculously Early Xmas Party! 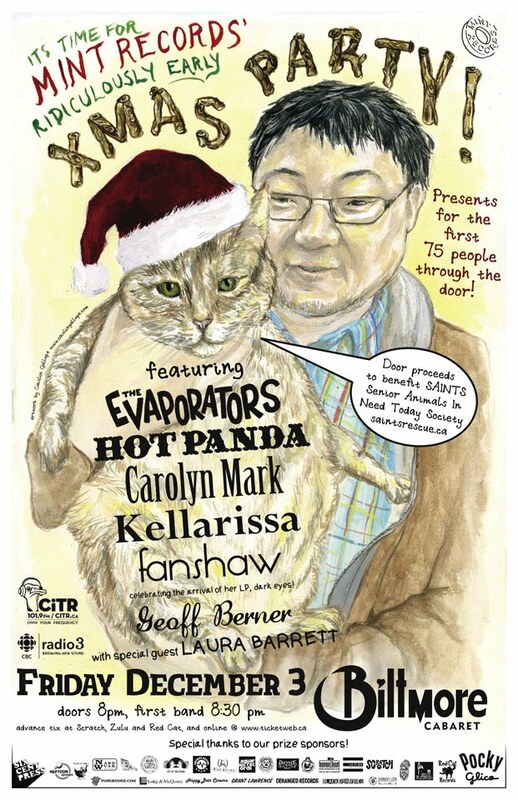 Friday Dec 3 - The Biltmore, Vancouver BC ( 395 Kingsway ) for The Mint Records Ridiculously Early Xmas Party w/ The Evaporators, Hot Panda, Carolyn Mark, Kellarissa, Fanshaw, Geoff Berner and Laura Barrett ! Tickets $12 at Scratch, Zulu, Redcat and www.ticketweb.ca 19+ Info? 604 669 6468 www.mintrecs.com Doors 8pm. Doot doo!